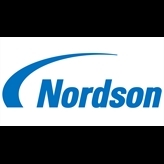 Work in collaboration with product managers and others to define the long-term strategy for Nordson Dage Bondtester tool software. Sales and applications work with customers regarding integration of Nordson Dage tools with their factory environments. Oversee development and maintenance of machine control software for Nordson Dage Bondtester tools. Define and oversee software development of bespoke customer interfaces to Nordson Dage tools. Liaise with all Bondtester product stakeholders. Transfer code into volume manufacture. Visit customers, Nordson sites and agents when necessary to optimize relationships. Educated to degree level or equivalent in an appropriate discipline. control of electro-mechanical robotic systems. development in a multi-threaded environment. use of appropriate code management and issue tracking tools. Advanced Microsoft Office and other reporting skills. Strong leadership, motivational and interpersonal skills. Communication skills – verbal, written and presentation. Proactive approach to problem resolution. A high degree of flexibility in a continuously changing environment. Visual Studio 2015 or later. Software development on 64-bit Windows 7 & 10 platforms. Experience of working in or with electronics component manufactures. Experience of automated material handling equipment. Source code and Issue Tracking systems experience.